The environmental impact of fashion waste is overwhelming. 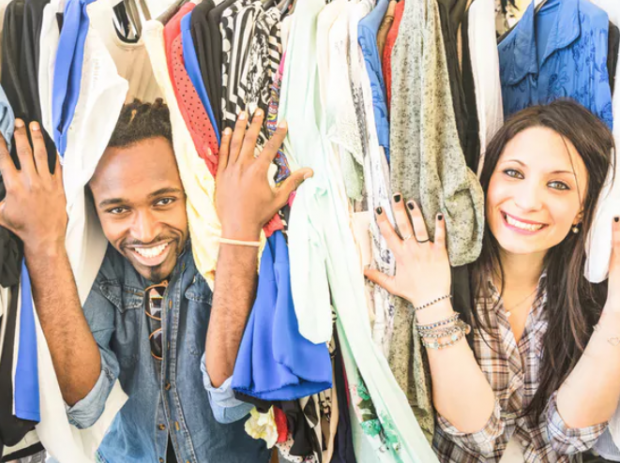 Every year the UK alone sends 350,000 tones of clothing to landfill. And as the majority of garments are made from oil-based materials like polyester – 22.67 tonnes of polyester clothing is produced every year worldwide – they aren’t going anywhere fast. Oil doesn’t decompose, and if burned the material will release harmful chemicals into the atmosphere. There are also problems associated with trimmings such as buttons, zips, studs and interfacing or lining. When buried with other waste in landfill, the combination of metal components, moisture and heat causes gases such as methane to be emitted.